Schedule a 1-on-1 with a sales engineer or attend one of our public demos. Choose from a series of on-demand demo videos of ESET security solutions. Watch ESET product webinars for insights into security trends, emerging threats, specific products and more. Protect all computers, laptops, mobile devices and fileservers – and make your email gateway impenetrable, eliminating all types of email-borne malware at the server level – before it can do any damage. For network security choose ESET, the pioneer of antivirus industry for 25 years. Provides robust Antivirus and Antispyware protection, whether your endpoints run Windows or macOS. Our award-winning Anti-Phishing engine protects sensitive company information, such as usernames and passwords, against fake websites. The other advanced technologies inside include Cloud-Powered Scanning, Device Control, and more. 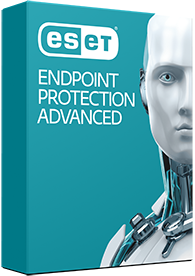 ESET NOD32® proactive technology, which is optimized for mobile platforms, delivers real-time protection to shield all your applications and files on Android devices, and includes Anti-Phishing and Application Control. For iOS devices, you can remotely push settings and restrictions to boost the security of your iOS mobile fleet. Anti-Theft lets you remotely lock/unlock, or wipe all data, from both Android and iOS devices. Whether you use VMware or another virtualization solution, you can rely on ESET protection to keep your VMs secure. With ESET Shared Local Cache and the protection of an agent-based ESET security product, you get significantly boosted scanning speed. Antivirus and Antispyware protection eliminates all types of threats, including viruses, rootkits, worms and spyware. Advanced Memory Scanner monitors the behavior of malicious processes, while optional cloud-powered scanning ensures even better performance and detection. ESET Endpoint Security delivers all the benefits of ESET Endpoint Antivirus, plus Two-Way Firewall, Web Control, Botnet Protection, and more. With this solution you have the option of installing either ESET Endpoint Security or ESET Endpoint Antivirus on individual endpoints, whether they run Windows or macOS, as you choose. Built using proven ESET NOD32 technology, ESET’s solutions for your mission-critical email servers filter out spam and malware before they can reach users’ mailboxes. ESET Mail Security is well suited to complement the security of your network, providing an essential first line of defense. Whether you are running Windows, Mac, or Linux endpoints, or even virtual machines and smartphones, you can manage company security from one point. Install security software remotely and get at-a-glance network security overviews. What does your business need?